The recent news out of Constantinople that the Orthodox Church has finally set a date (2016) for the holding of its much-promised but much-delayed “great and holy synod” is good news indeed. If it comes to pass, if it deals successfully with matters of substance, and if it doesn’t get bogged down in the usual jurisdictional squabbles—especially between the patriarchs of Constantinople and Moscow, and more recently Jerusalem and Antioch—then it promises to be the landmark ecclesial event of the twenty-first century, just as Vatican II was the landmark Christian event of the twentieth. But, as just hinted at, there are many hurdles to overcome between now and 2016, and there will be many problems not only before, but during and after any possible council. This is not surprising as local, regional, and ecumenical councils, in the first millennium and second, in both East and West, were almost invariably messy, unpredictable affairs. Very often they failed to solve the problems they were convoked to address and sometimes even created new problems. Nicaea I in 325 was not sufficient to deal with the Arian crisis, thus requiring Constantinople I in 381. Nicaea II in 787 was not sufficient to extirpate iconoclasm, which would last for nearly sixty more years. And anyone alive during the last half-century surely knows that Vatican II accomplished enormous good (especially in Orthodox-Catholic relations) but also unleashed forces of enormous mischief-making (to put it mildly) in the Catholic Church. 1) Be Prepared for the Unexpected: Calling a council is like having a baby: you take a risk well into the future, most of which is only very dimly perceived, and even less controllable. Thus you proceed on hope. When Pope John XXIII announced plans for a council (which had previously been considered but scrapped by Pope Pius XII), the man who would succeed him as Paul VI said to a friend “this holy old boy doesn’t realize what a hornet’s nest he’s stirring up.” Were more prophetic words ever spoken? Orthodoxy needs to anticipate that developments will occur during and after the council, many (if not most) of which will intended, but which may prove to have a very disruptive life of their own. Councils are one long illustration of the law of unintended consequences. So be prepared for a mess afterwards, but have the patience to see it through. One especially important way to head off some of the mess afterwards is to begin laying the groundwork now among the faithful, helping them to see the difference between discipline and doctrine, and realizing that any possible changes to the former do not undermine the latter. Moreover, given Orthodox struggles with history—its own, as well as the history of relations with the Catholic Church and the West generally—now is also the time to begin helping people realize that the Church can and does change in certain ways throughout history, and that is not inherently a bad thing. 2) Don’t Forget Basic Hospitality: If you read memoirs of those who attended Vatican II, one theme one regularly finds is how often a seemingly innocent and quick chat at the coffee bar, or a longer discussion over lunch or dinner, proved to be pivotal for shaping one’s views or altering the course of a debate. Moreover, having to sit around a table and break bread with an opponent after a vigorous debate is a very healthful thing to do, and a glass of wine or ouzo can work wonders in smoothing over rough patches and painful disagreements. Don’t stint on the food and wine—and the time to enjoy them. 3) Powers and Principalities of this Present Darkness: Let’s not be willfully naive. There are always shady characters with dodgy motives who manage to show up at councils and make mischief, and one must be on guard against them. Let us hope that—as the legend runs—there is no Arius around who will need a punch in the nose, because in this day and age an image of bishops physically bashing each other would race around the world so fast Facebook and Twitter would likely collapse under the strain, and nobody would talk about anything else! 4) The Media is Not Always Your Friend: Anyone who thinks the media innocently and objectively reports basic “facts” is an idiot. Press attention will not only focus on this upcoming council, but will attempt to drive its agenda. If you don’t believe that then you weren’t paying attention to Western media coverage of the Russian Olympics this year, with its constant drum-beat about how “homophobic” Russia is for its law against “gay propaganda.” Orthodox sexual ethics, as well as the restricting of priestly ordination to men, will come in for a lot of hostile commentary and a lot of pressure to change. There will be constant talk about “modernizing” and about the challenges of “secularism.” There are important issues here, but do not rush headlong into an embrace of the priorities of the Zeitgeist. (G. K. Chesterton’s words are apt here: he who marries the spirit of the age soon finds himself a widower.) Proceed serenely at your own pace without regard for whatever the Huffington Post is breathlessly braying at you to change. Get a media-savvy team in place to get your own message out. 5) Use Your Talent Well: Let’s be frank: many bishops are ecclesiastical bureaucrats. Fortunately, there are good scholars who can help them. The so-called peritus or “expert” at Vatican II (usually a priest-theologian employed by his bishop to advise him on the most recent scholarship) was a very influential figure. Many of the leading lights of contemporary Catholic theology—Joseph Ratzinger, Karl Rahner, Yves Congar—were experts at Vatican II and had a huge impact. Orthodox theology today is in an increasingly happy position of having some outstanding young scholars, many of whom I count among my friends. People like Brandon Gallaher of Oxford, Nicholas Denysenko of Loyola Marymount, Oliver Herbel of North Dakota, Augustine Casiday of Wales, Vassa Larin of Vienna, William Mills of North Carolina, Radu Bordeianu of Duquesne and others are all faithful scholars with a deep pastoral sense and love of the Church. They, along with other older scholars—Edith Humphrey, Verna Harrison, Michael Plekon, Antoine Arjakovsky, Andrew Louth, John McGuckin, Peter Bouteneff, inter alia—would offer great assistance to the council. Shunning any of them would simply reinforce a reputation for obscurantism and anti-intellectualism. At the same time, however, no bishop needs to accept an idea just because it is the latest and happenin’ thing. Discernment will be key here. 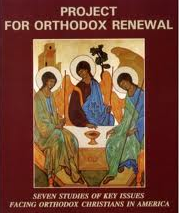 6) Don’t Exclude the Oriental Orthodox: There are, as I tell my students, many maddening things about the Christian East, but perhaps the most perverse among them is the status of relations between the Oriental (or “non-Chalcedonian”) Orthodox, and the “Eastern” (or Byzantine) Orthodox. Are they divided or not? De facto they are, but on what basis? The dialogue between them, as far as I can see (and Kenneth Yossa lays out the details in his 2009 book, Common Heritage, Divided Communion: Advances of Inter-Orthodox Relations from Chalcedon to Chambésy) has overcome the Christological divide since the Council of Chalcedon in 451. What more is required for restoration of communion? Since both sides seem to have drawn so agonizingly close to full communion, why not use 2016 as the occasion to celebrate this fully? Invite the Coptic pope of Alexandria, the Armenian catholicos-patriarch of Etchmiadzin, and the heads of the Syriac and Ethiopian churches to celebrate the Eucharist with all the other Orthodox bishops. 7) Don’t Exclude Non-Orthodox: It is widely recognized how valuable the presence of Protestant and Orthodox observers was at Vatican II. In the same spirit, while necessarily attending to “internal” matters, the Orthodox council could only benefit from the wisdom of Catholic and Protestant observer-participants. The Orthodox world today is not isolable and the last thing Orthodoxy needs is to wall itself off into some sectarian enclave. 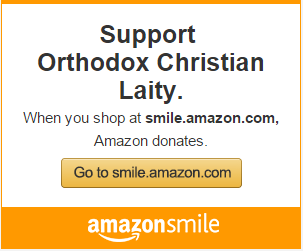 Orthodox Christians live side-by-side with Protestants and Catholics in religiously diverse lands across the globe, each learning from the other. This needs to be encouraged, and the swivel-eyed loons who foam at the mouth about such learning being a species of the “pan-heresy of ecumenism” need to be told to fly far, far away. 8) Primacy: Can you finally put to rest this most juvenile of rivalries between Constantinople and Moscow? It’s very tiresome. The world needs to hear the gospel; it doesn’t need to hear and see elderly men battling for supremacy. Those kinds of antics only turn people off and give them an adolescent caricature of Christianity that they can then lazily dismiss. Pick one global spokesman for Orthodoxy today and stick with him. And when that’s done, then the dialogue with Catholicism about papal primacy can really proceed—the sooner the better. A smile came to my face as I read Fr. Radu’s name listed among the “scholars”. He was my spiritual father during my catechumenate and received me into the Orthodox Church 10 years ago. While he is brilliant, he is more so humble, kind and patient. A good priest, man, father and teacher.